Tata Consulting Engineers is a best-in-class integrated engineering consultancy solutions provider. We are distinct and distinguished in the engineering consultancy services domain. 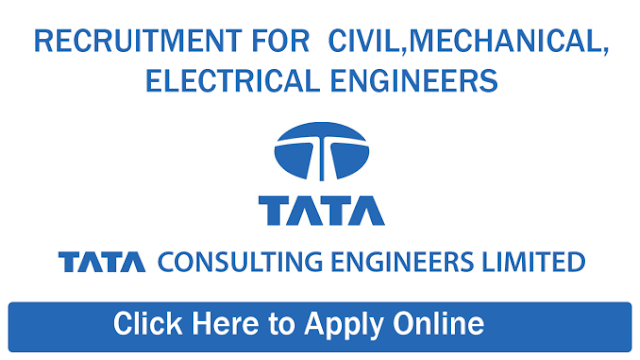 Tata Consulting Engineers is a wholly-owned subsidiary of Tata Sons Ltd. Established in 1962 as Tata-Ebasco, the company managed about 60% of the country’s power installations in the initial years. Tata Consulting Engineers follow the Tata Business Excellence Model (TBEM) – a set of processes that sets the standards for the business and services. The TBEM is based on the recommendations of Baldridge National Quality Program. The Tata Quality Management Systems (TQMS) spells out the quality systems that govern our business activity We are among the few companies that have developed and implemented SiD guidelines (Safety in Design) to incorporate safety guidelines and checks right at the design engineering stage. Tata Consulting Engineers is ISO 9001 certified, assured by Lloyd’s Register Quality Assurance. Tata Consulting Engineers has accreditation from the Quality Council of India/ NABET to conduct Environment Impact Assessment Studies in key sector s such as thermal power plant, chemical fertilizer, ferrous metallurgical industries, common municipal solid waste management facility, building & construction project, township and area development, mining & minerals , port, harbours, jetties, marine terminal, breakwater & dredging.